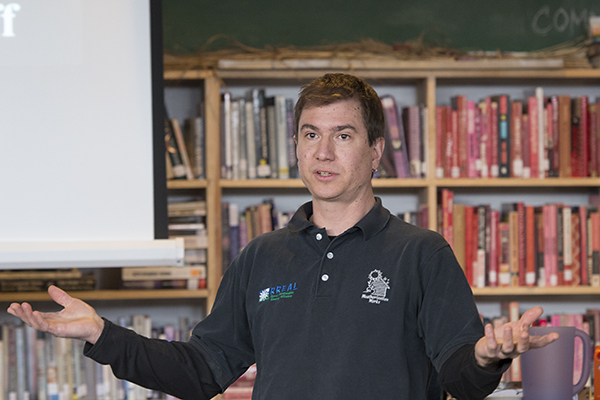 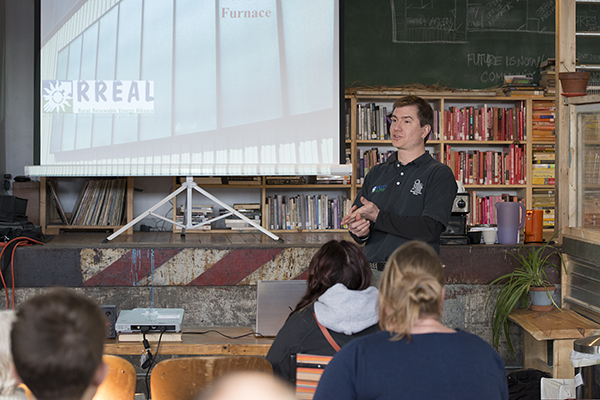 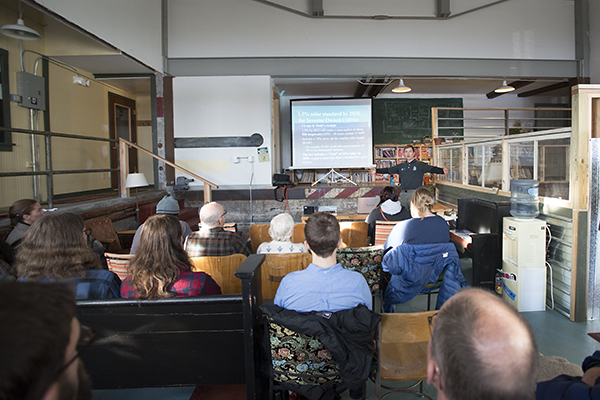 BSU alum Jason Edens, founding director of the Rural Renewable Energy Alliance, discusses community solar gardens during a Sustainable Tuesday event at the Rail River Folk School. 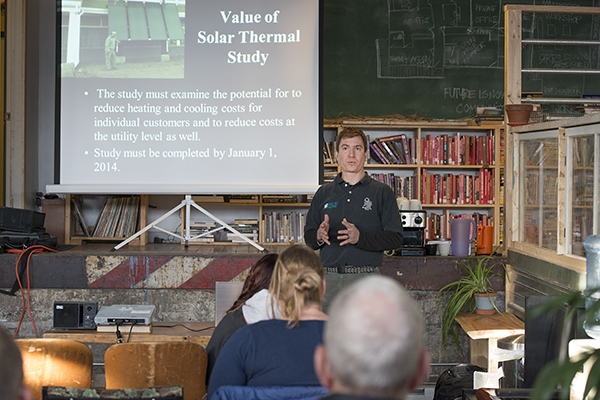 Community solar gardens are centrally-located solar photovoltaic (PV) systems that provide electricity to participating subscribers. 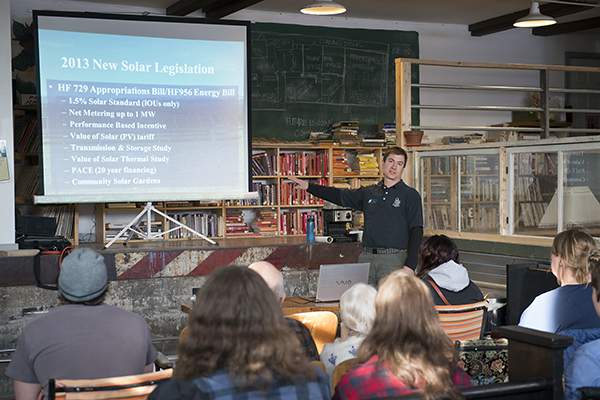 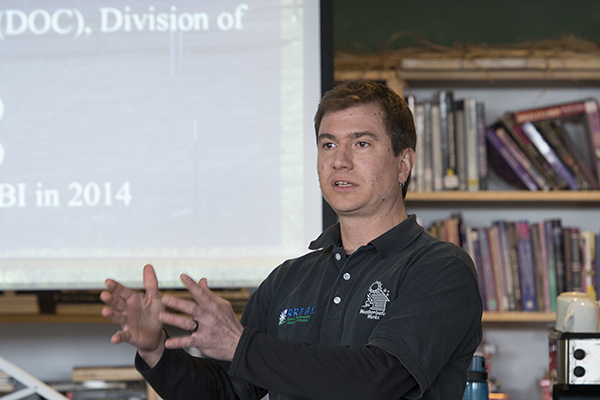 Jason Edens discusses community solar gardens during a Sustainable Tuesday event at the Rail River Folk School. 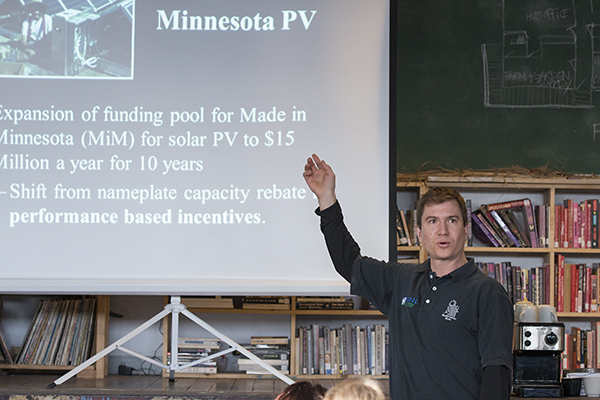 Community solar gardens are centrally-located solar photovoltaic (PV) systems that provide electricity to participating subscribers. 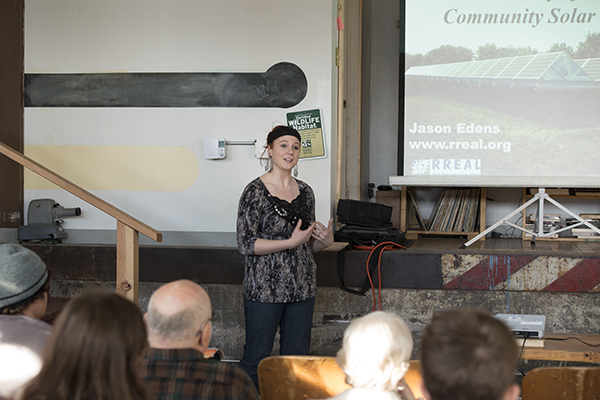 Sara Dennison, a Minnesota GreenCorps member who works out of the BSU Sustainability Office, discusses community solar gardens at Sustainable Tuesdays.